The first step towards adopting a Woof River Animal Rescue pup is completing the adoption application! The application gives us background information necessary to select the best fit family for each dog and vise versa. We are excited to work with you to find your furry new family member! We take our job very seriously and want to do everything possible to ensure each and every dog will be with his adopted family for life. We highly suggest submitting an application describing the type of dog you are looking for even if you don’t see that particular dog on our adoptapet page. We don’t have every dog posted at once. Also, there are hundreds of homeless dogs in this area so there is a large chance that just what you are searching for can be found. We are all volunteers, but we also respect the time of our adopters. We try to have all applications processed in 5 business days or less. Once your application has been processed we will contact you. 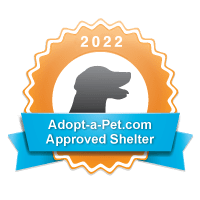 If you are approved, then we will send you the adoption contract, spay/neuter contract (for puppies under 6 months), transport information, and payment information. All adoption fees may be paid via PayPal, credit card, or debit card. All payments are handled securely through the PayPal site. However, you do not have to have a PayPal account to pay with credit or debit. Adoption fees are typically $290 for Memphis, $340 for Nashville, and $490 for our Knoxville, Midwest, and New England. Adoption fees are a direct result of $290 local adoption fee plus cost of health certificate and transport. Once the adoption is official, we put our adopters in touch with the foster parents. The foster parents are happy to talk with you about your dog’s current routine and favorite things. This is priceless in helping you prepare for your new arrival! • You must be at least 18 years of age and be able to provide proof of age. • Any current pets must be spayed/neutered. They must also be up to date on annual exams, annual heartworm tests and annual vaccinations – along with consistent heartworm preventative. Exceptions to this will only be considered if proof of a medical explanation is provided. The same applies for your past pets. • If you currently rent, you must provide a landlord’s phone number and a copy of your executed lease. • All members of the family living in the home where the animal will be placed must agree be interviewed. • If needed, you allow a Woof River representative into your home for a visit to insure that your home is safe for the potential new dog. • Be able and willing to spend the time and money necessary to provide training, medical treatment and proper care for a pet. Because we are a volunteer based organization, we receive hundreds of inquiries each day. We are unable to answer all questions until an adoption application has been received.